TGIF, am I right? I feel like this has been the longest January in the history of long January’s, and I am super glad that I have a weekend of relaxing reading plans to look forward to. This weekend sees the return of 24in48, it couldn’t have come at a better time. I have no plans and no money, the perfect mix for staying in and reading! So with that in mind, what is it, how does it work, and who created this? Well, 24 in 48 has all the details, but simply, track reading as much as you can with the aim of it being 24hrs in 48hrs over the weekend of the 26th and 27th January. It’s low key, with few rules and even less pressure. You can read more, you can read less, it’s up to you. Once you’ve committed, sign up and track your own/other progress all over the internet. This year it comes with more prizes, and a brand new logo!! 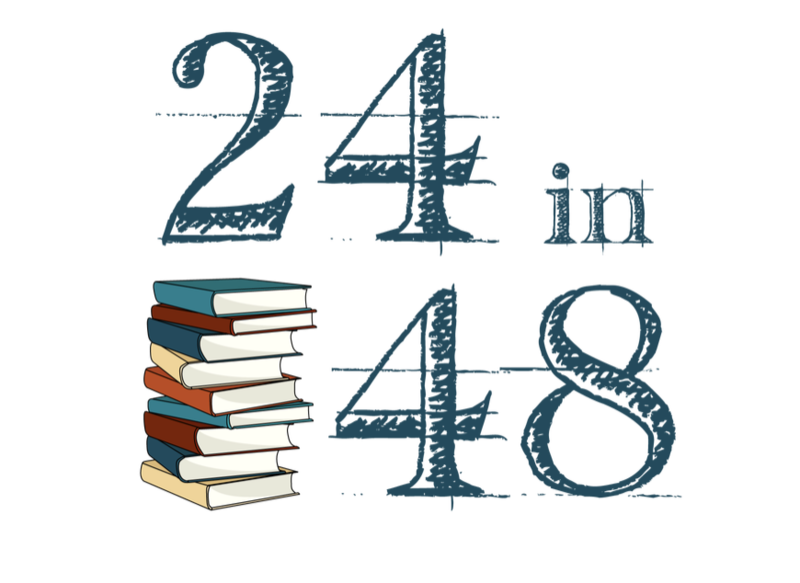 Now the idea is that you read for 24hrs in the 48hrs that make up the weekend, but if I am being honest, I find that both unhealthy and detrimental. I’ve taken part before and completed it once and actually found it more of a chore than an enjoying thing to do by the end of the weekend, so I think I am going to aim for 15hrs a day, which split over the 2 days is 7.5hrs a day. That’s the length of a normal shift at work, and I know I can go to work and still do things round it that aren’t reading so I think that should be manageable enough. My housemate and I are both taking part (you can check her sign up out @ The Terror of Knowing) so I think we’ll be able to keep each other somewhat accountable. 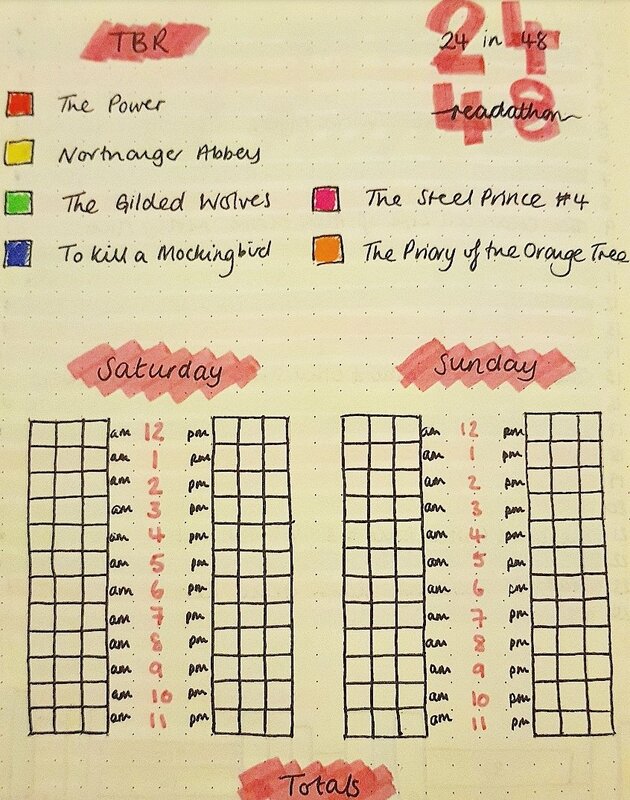 I also have found that I’ve really enjoyed keeping a reading journal this year, which is kind of a reading journal/bullet journal, so I have created (well copied Emma’s) tracker that sections every hour of the readathon into 20minute chunks. The idea is that I can colour code my TBR and see when I read what throughout the weekend, and also keep a track of how long I read for. Well, that’s the idea anyway, I am hoping it will help. That and the snacks. 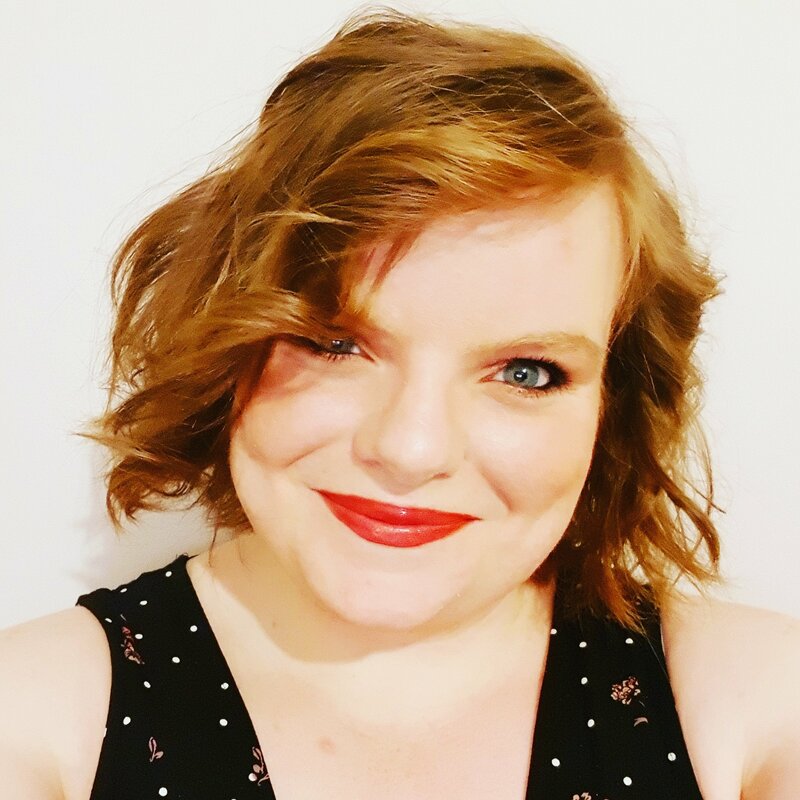 Look out for my update post on my blog on Saturday, and follow me on Twitter @LizHannah25 and Instagram @LizWhitehouse25 for regular updates! Good luck! 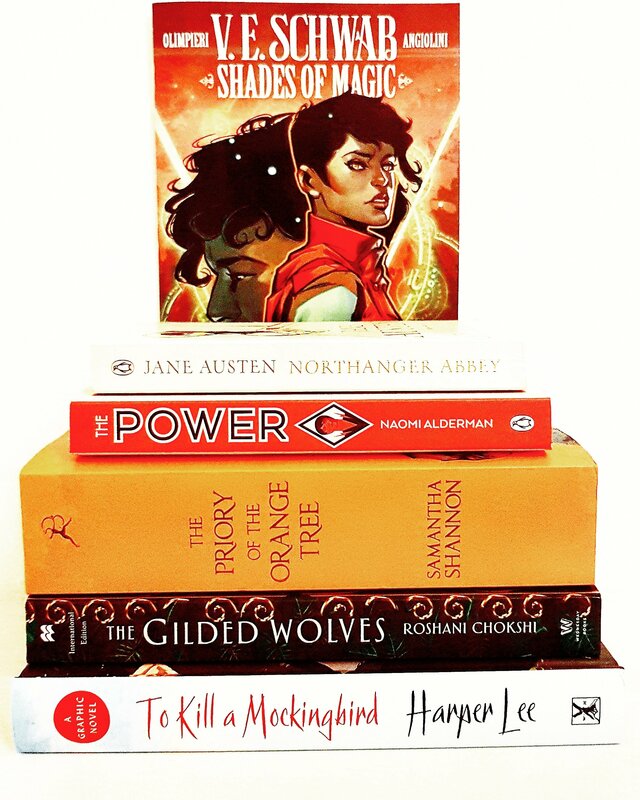 I love the idea of this readathon! I agree that it’s a little too much even it’s within 48 hours. 15 hours seems more manageable. Also, I’m so excited that you’re reading To Kill A Mockingbird, love that book! Good Luck! It takes over and means my weekend doesn’t feel like the break and time I need, y’know, but 15hrs should be a solid balance. I’m also participating! It’s my 2nd or 3rd time and I’ve been pretty bad at keeping track of my time in the past. I’m hoping to do better this weekend. Good luck! Awesome. I think it’s my third time this year, I tend to use a stopwatch on my phone if I’m going for the full 24hrs, or just a bullet journal page otherwise.